Rabcat pokies offer the highest level of player engagement you’ll find when playing online pokies, utilising level-up style games that have more in common with elaborate video games than they do with land based slot machines. Find out more about this state-of-the-art game developer and where you can play Rabcat games for real money online. Rabcat is a Vienna based leader in premium online casino gaming. Established in 2001, this gaming company has been providing high quality online pokies in collaborations with some of the biggest names in online gaming, like Microgaming, Quickfire and Odobo. In fact, many of Rabcat’s games are available at exclusively Microgaming powered casinos, and are often branded as Microgaming, so you may have played a Rabcat game without knowing it. Rabcat games are optimised for instant-play on all devices, including desktop, smartphone and tablet on the iOS, Android and Windows network. Rabcat’s portfolio of online pokies is small, which is completely understandable given the amount of time and energy that goes into making sure each game is packed with fine details and special features. 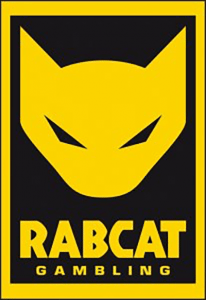 This is what we like most about Rabcat – they obviously care about making sure the gaming quality is of the highest quality and upmost entertainment, rather than just pumping out subpar games for the sake of it. 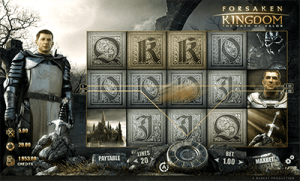 Forsaken Kingdom – This dark pokies game uses Hollywood grade cinematic animation to bring the Arthurian legend to the world of online pokies. In this five-reel slot game, the player assumes the role of King Arthur as he sets out on a heroic mission in an eerie, hostile environment where he must face a series of challenges and dangerous threats. Forsaken Kingdom is packed with bonus features like expanding wilds, neighbour wins and free spins, but the real drawcard is the unique Table of Fortune bonus feature which is triggered when you collect twelve of the rare shield symbols, giving you access to some huge rewards. Castle Builder – Castle Builder is one of the most unique, innovative online pokies creations you’ll find anywhere on the Web, or in a land based casino for that matter. This game singlehandedly paved the way for a whole new style of online casino game. In Castle Builder, you get to slip into the role of a master builder who is employed to build castles for monarchs located throughout three different kingdoms. Every time a certain piece of building equipment lands on the reels, it works as new material to add to your work in progress, with the aim to build 10 new castles for every kingdom. Every time a castle is complete, the princess moves in and you get to choose from three different suitors for her to marry, each one revealing his worth in riches, which adds to your winnings. After every castle building mission is complete, you also get the chance to receive special achievement awards from the king. 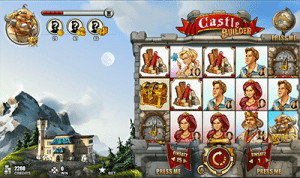 Castle Builder truly pushes the boundaries of the online pokies industry and is an absolute must play. Dragon’s Myth – Join the fearless young female dragon slayer on her mission to catch all four dragons in order to secure a dragon bounty bonus. 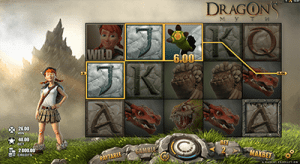 Like all other Rabcat pokies, Dragon’s Myth uses a high level of animation and innovation to create a truly original slot game. The girl stands to the side of the reels as you hunt down the fire-breathing creatures in an attempt to make your way into the legendary dragon’s cave, which is where to biggest winning potential awaits. Once you reach it, your journey will be rewarded with three free spins with a fixed wild symbol in win-both-ways mode. Dragon’s Myth also contains a bonus gamble feature where you get to guess which dragons egg contains a baby dragon, with a cash reward if you guess correctly. Scary Friends – Taking inspiration from the classic animated film Monsters Inc, Scary Friends brings a bunch of zany extra-terrestrial monsters to this five-reeled, 25 payline video pokies game. 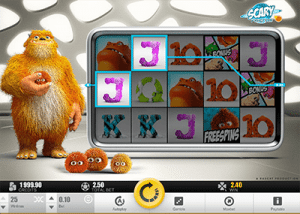 A totally harmless and quite adorable furry monster stands to the side of the reels, cradling his furry little friends who bounce around in glee everytime you land a winning combination. The game contains wild symbols, a free spins bonus, gamble feature and a special bonus game where you get to spin the monster training wheel to send monsters flying through the air to trigger bonus wins with multipliers. Other Rabcat pokies include River of Riches, The Legend of Olympus, Frozen Diamonds and Penguin Splash. Given the high quality and level of detail of these games, Rabcat pokies are in high demand and you’ll find them at several of our recommended online casinos. Our top-rated casino sites with Rabcat games are listed in the casino table above – these trusted sites offer games for instant-play, with safe deposits available using trusted payment methods. These recommended casinos house the Rabcat games mentioned above, plus hundreds of other real money pokies from the world’s best online software developers. Sign up using our links above to gain access to some exclusive welcome bonuses that include free spins, matched deposit bonuses and automatic entry to loyalty reward programs.